For years, breaking a hockey stick brought with it not only the frustration of losing your favorite tool of the trade, but also a significant expense to replace the stick with a brand-new one. Various methods have been tried over the years to repair broken sticks, but none were effective enough to make the repaired sticks operate like new. Four years ago, though, Canadian Randy Langille took his years of research and knowledge of aircraft component fabrication and applied it to hockey sticks. Integral Hockey Stick Repair has since grown to include 80 regional franchises across the United States and Canada, offering an alternative to trashing broken sticks and replacing them with expensive new ones. Patrick Demsey runs the Los Angeles franchise of Integral (IntegralHockeyLosAngeles.com), and recently spoke to California Rubber about the ingenuity behind Integral, growing his franchise and how he went from starring as Mike Eruzione in “Miracle” to repairing hockey sticks. California Rubber: How does Integral work? How long does it take for a player to get a broken stick back? Patrick Demsey: Randy, who founded Integral, developed a proprietary system that applies a hollow carbon fiber inside the stick and makes the stick as good as new. When I bought the franchise, I was set up with the equipment and training, and when players bring me a broken stick, I can usually get it back to them as good as new within two weeks, depending on how busy we are. We charge $65 to repair a broken shaft and $85 for a broken blade, and all repairs come with a lifetime warranty. CR: Is your L.A. franchise the only one in California? PD: No. There are a total of four franchises in the state. In addition to mine, which covers essentially from Interstate 10 north to Santa Barbara and Valencia, there are franchises in the South Bay, Orange County and San Jose. CR: How long have you been involved, and what interested you about Integral? CR: How do you plan to grow your franchise? PD: It’s just about getting out and showing people these repaired sticks and letting them test them for themselves. When we do that, we think we can convince them that they don’t have to go out and spend $200-250 on a new stick whenever they break one. We’re just getting started, and it’s a part-time thing for me, but I’ve probably repaired about 75 sticks since I started. The busiest franchise, in Edmonton, did more than 1,000 sticks last year. CR: You went from playing hockey at Fitchburg State in Massachusetts right into a starring role in “Miracle.” What’s your been your involvement in hockey since the movie? PD: I do a lot of hockey stunts for film and television. I play pickup games with my friends to stay in shape for that, and we all sort of work together whenever an opportunity comes up. 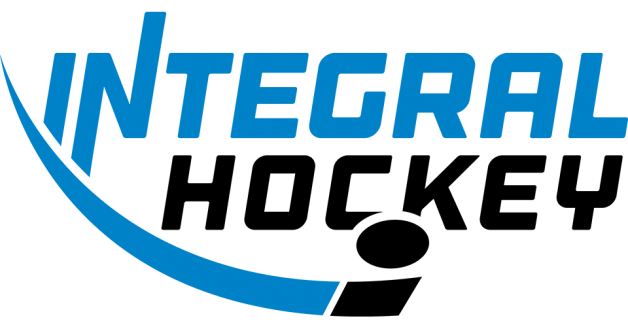 Other than that, I haven’t coached or done anything else in hockey until getting involved with Integral.